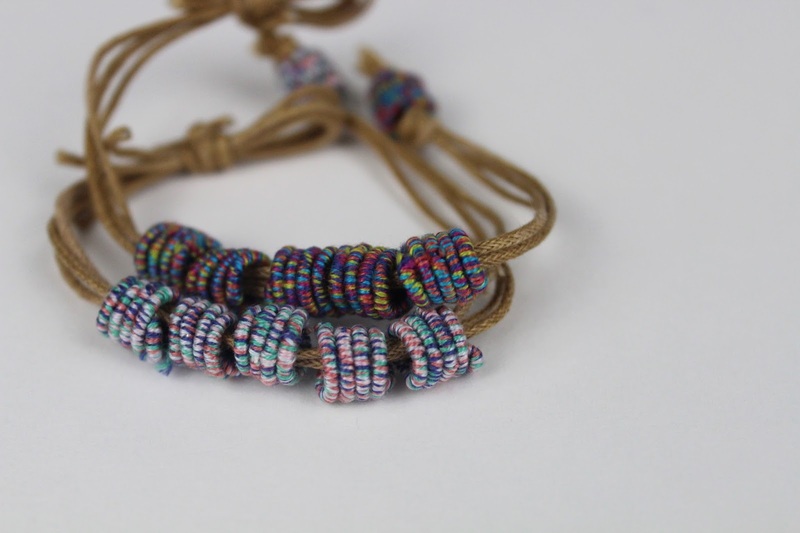 I’ve been making so many bracelets and came up with these absolutely fun bracelets! They are perfect to add to those awesome Spring arm parties and I just love them. 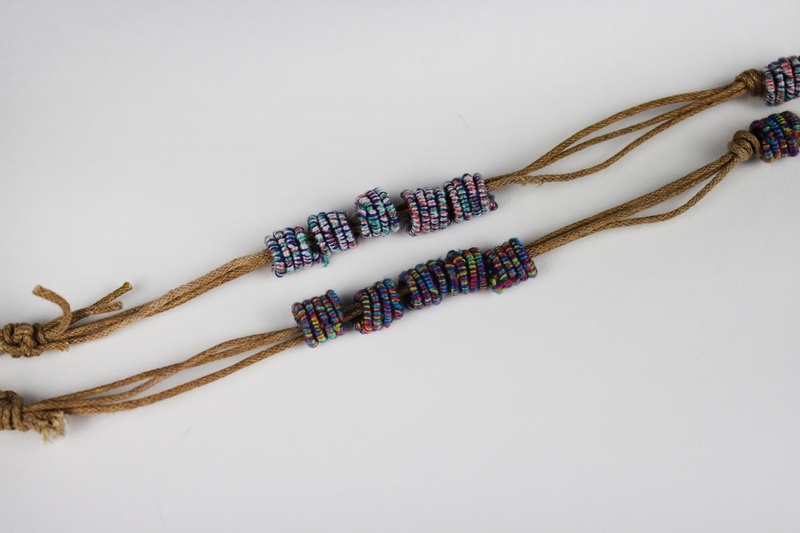 You can use the beads for a necklace, bracelet or anything you want to! Ok, I can’t wait, here’s the DIY! 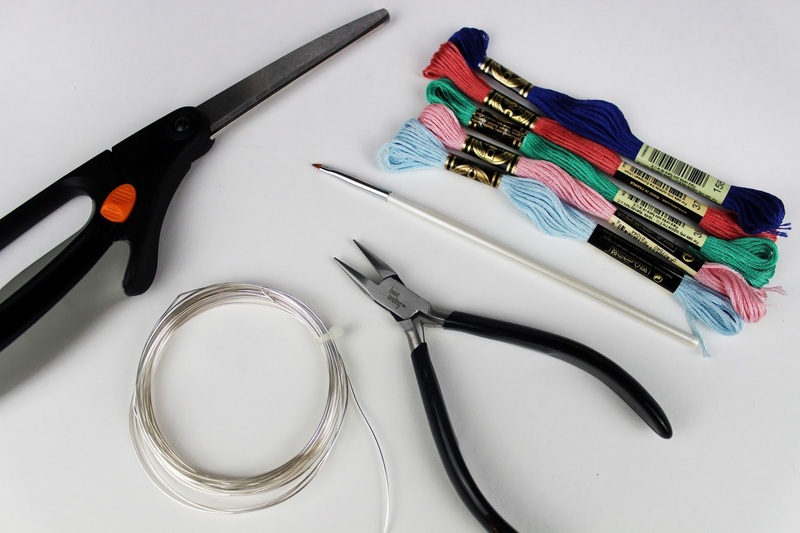 Cut strands of each color embroidery floss the same length. 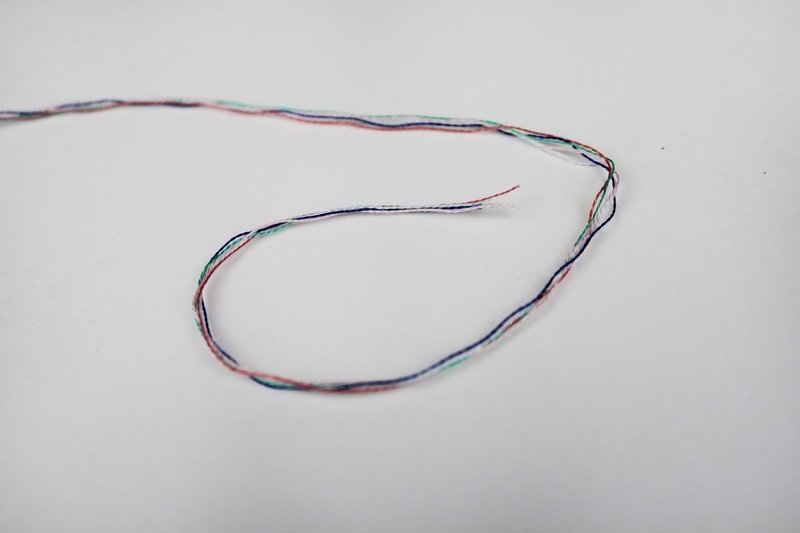 Each embroidery strand has 6 smaller strands making it up. Separate them and put one of each color together. 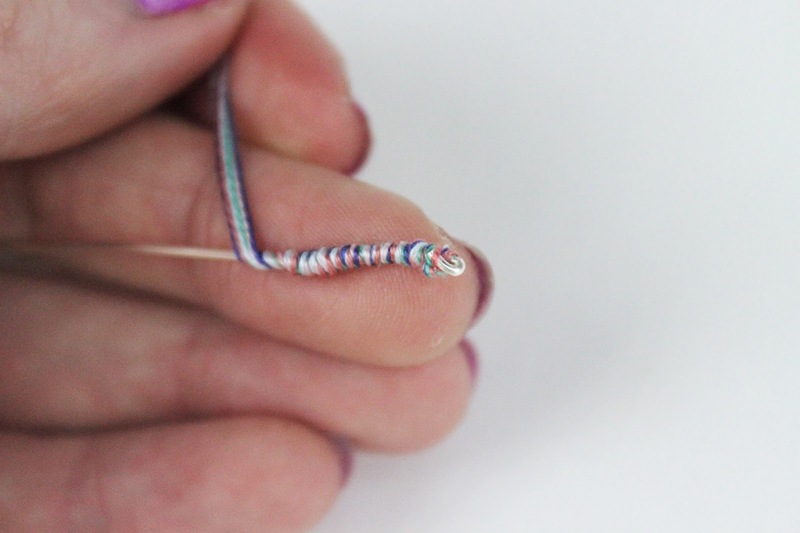 Make a hook with the wire. Tie one end of the strands to the wire. Tightly wrap the strands around the wire. 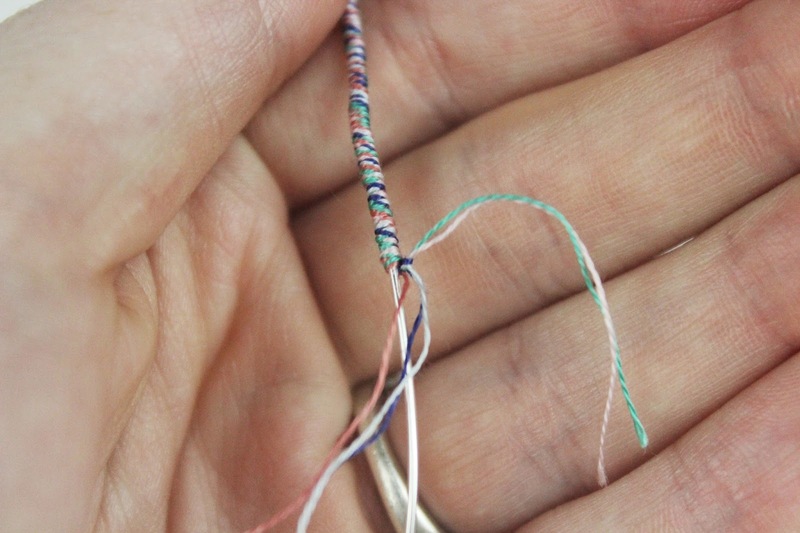 To finish it off, separate the strands into two sections and tie a knot around the wire. 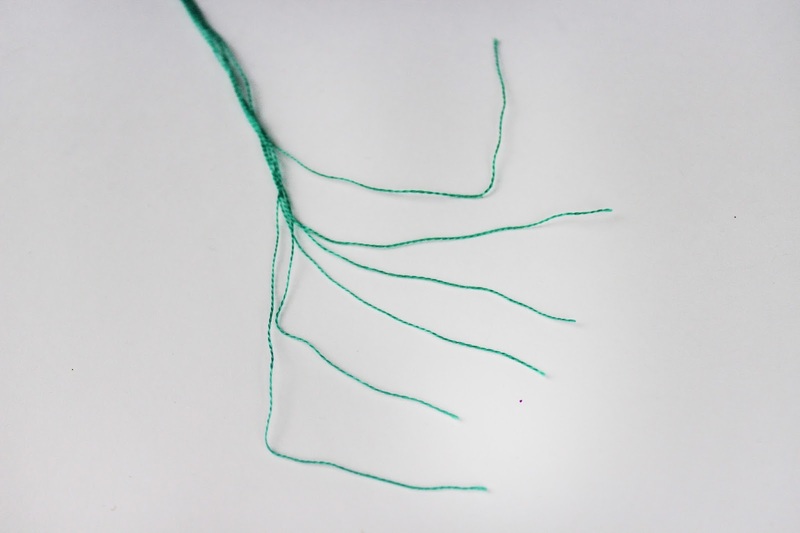 Cut the excess string and wire. 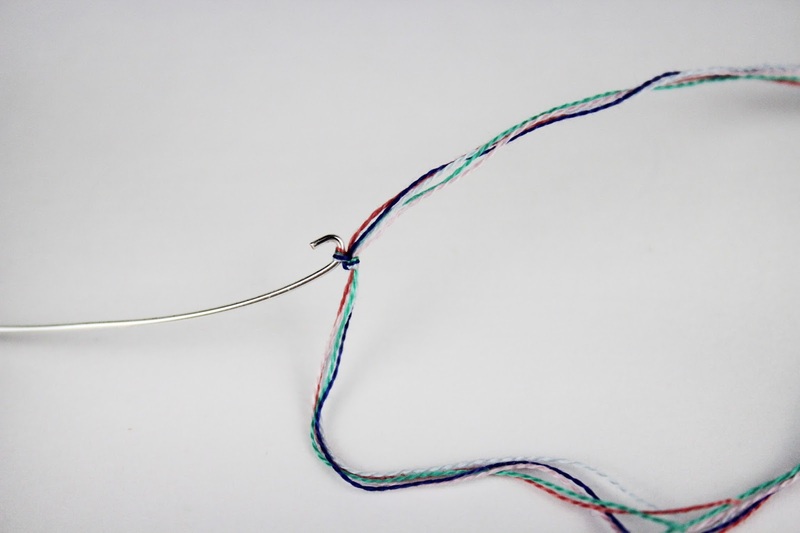 Create another hook and crimp to finish off. 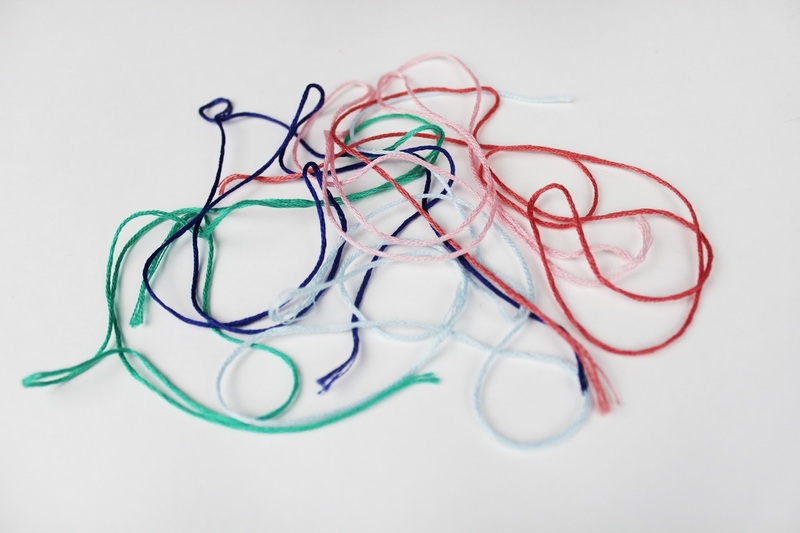 Wrap the wire around the round object you picked. 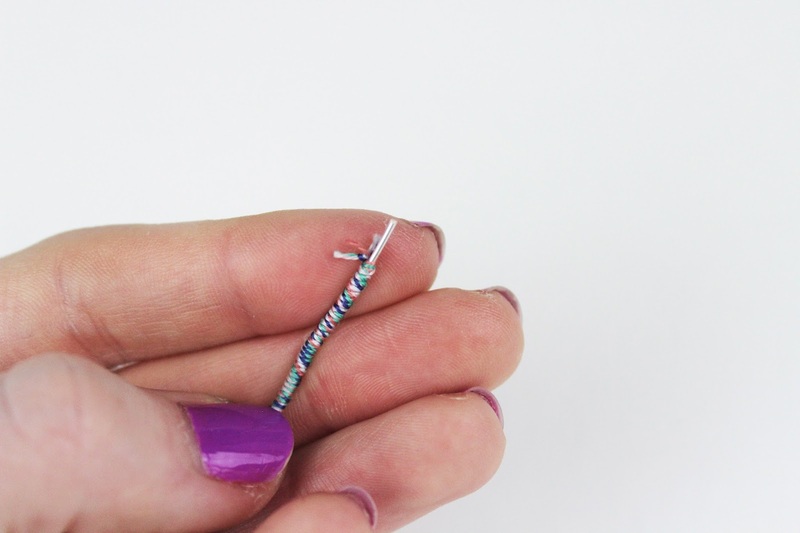 Pick something smaller so the bead doesn’t end up too large. 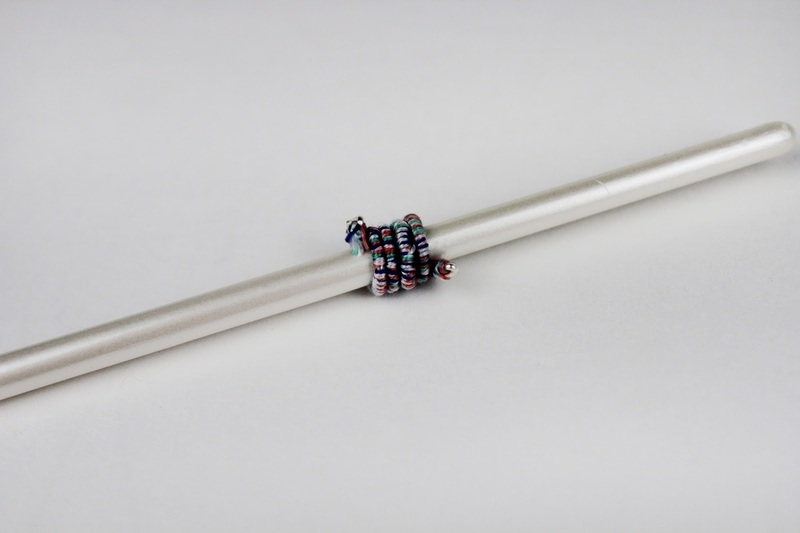 Push the edges into the opening and crimp to finish off the bead. Now you can make as many as you like! I ended up using the beads I made to make a few bracelets and I love them! 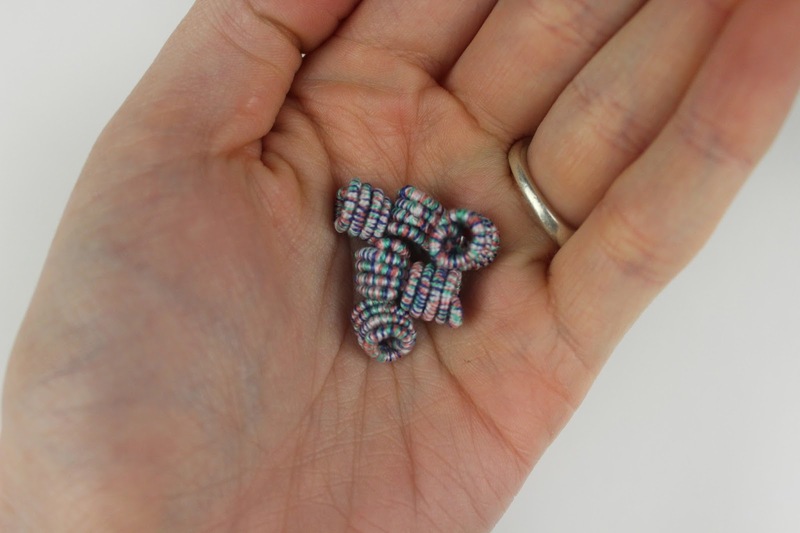 Hope you girls enjoy and make tons of fabric beads! Make sure to share them with me on Facebook, Instagram, and Twitter, I would love to see them! What are you having troubles with? I can try and help the best I can! I love this. 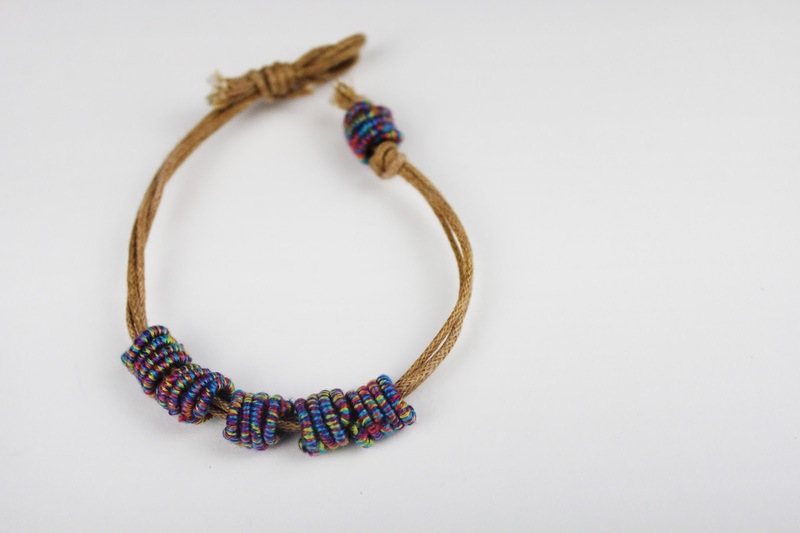 Would you please share how you made the bracelet? Thanks! Thank you. I'd love to have the clasp part of the bracelet as pictured. I would love for my grandgirlies to know how to do this part. We will have fun with this when they are visiting later this summer. For the entire bracelet I used 3 strands of cording. The clasp is super easy! For the bead part I just put one of the fabric beads on one end and tied a knot. for the loop I took the three strands, created a loop just big enough for the bead to fit snuggly through and tied a knot! Just tried this, and for some reason it doesnt work for me. It comes apart. Yes! You can totally use glue on it. Super glue should be good or even a fabric glue!